Rajkumar Hirani hospitalized! Falls off a bike, Fractures his Jaw. Rajkumar Hirani hospitalized! Falls off a bike, Fractures his Jaw. 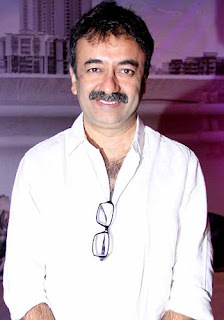 Home > rajkumar hirani injured > Rajkumar Hirani hospitalized! Falls off a bike, Fractures his Jaw. Rajkumar Hirani hospitalized! Falls off a bike, Fractures his Jaw. Rajkumar Hirani is well known for Munnabhai MBBS, 3 Idiots & Blockbuster movie PK was admitted to hospital after falling off a a Motorbike in Mumbai. The 52-year-old filmmaker was taken to Lilavati Hospital early Tuesday morning with a fractured jaw and a gash on the chin. The accident was occurred at Pali Hill, Bandra, where Hirani and his team were working in their studio. Mr Hirani is believed to have been riding a new Royal Enfield Bullet owned by one of his employees. He was riding at a low speed but couldn't manage the weight and fell, the bike skidded while turning around. As he started bleeding from his ears, doctors were worried about internal brain hemorrhage. An assessment cleared the doubt, but he has a jaw fracture that should heal within a few weeks. "He fell on his chin and suffered a minor fracture on his jaw. He may not need a surgery," said Dr Jalil Parker, who is treating Hirani at Lilavati Hospital in Bandra. BR Team prays for quick recovery and good health of Mr. Hirani.